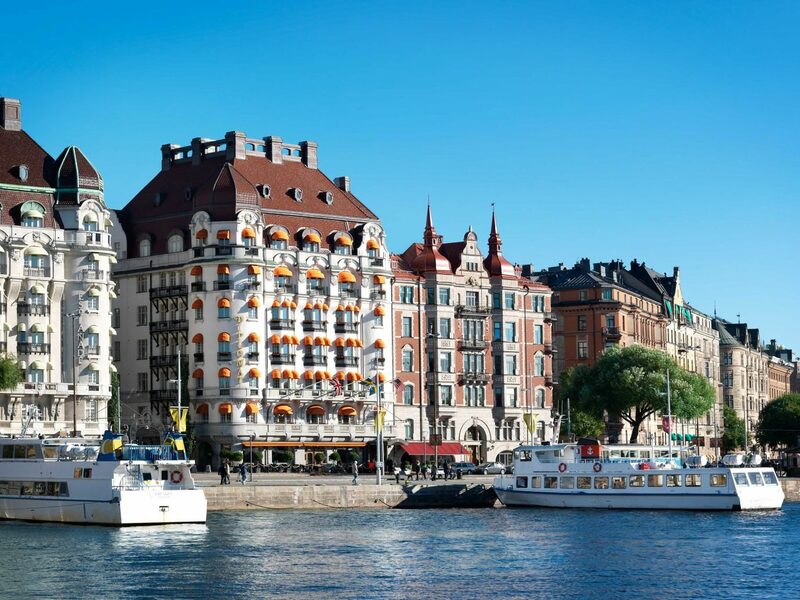 All told, 14 islands make up the capital of Stockholm, although most of the city's best hotels radiate out from the medieval old town of Gamla Stan. 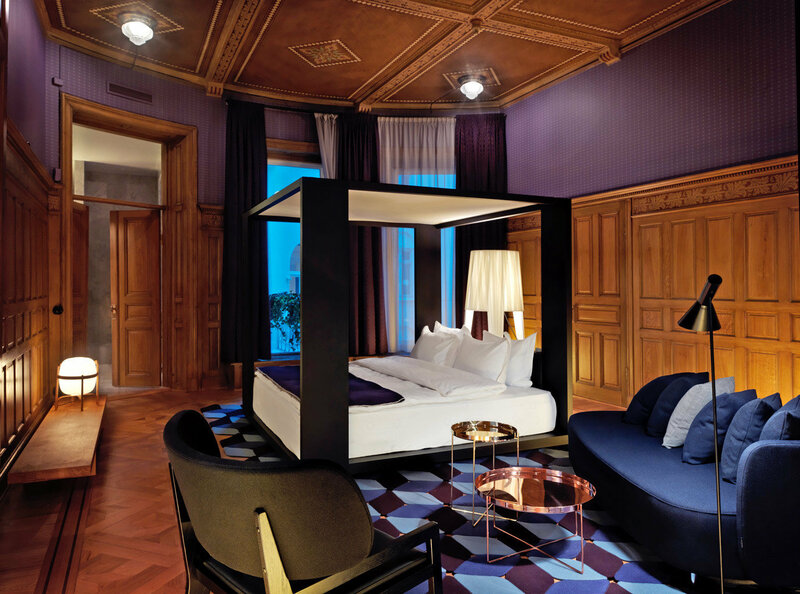 From classic grande dames to cutting-edge design boutiques, these are our favorite hotels in the Venice of the North. 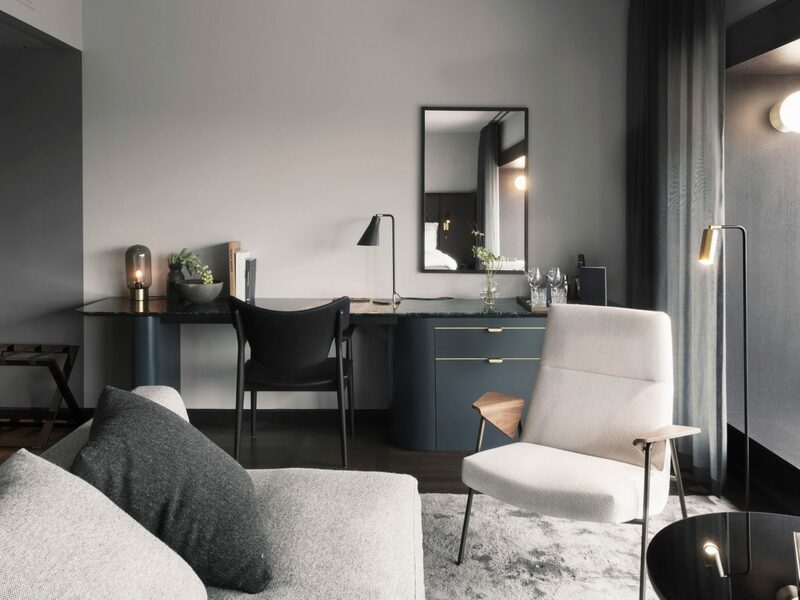 Stockholm’s Brunkebergstorg square, a former stomping ground for the city’s elite before Brutalist high-rises transforme the area in the 60s, is experiencing a small design renaissance as stylish new storefronts and hotels open up shop. 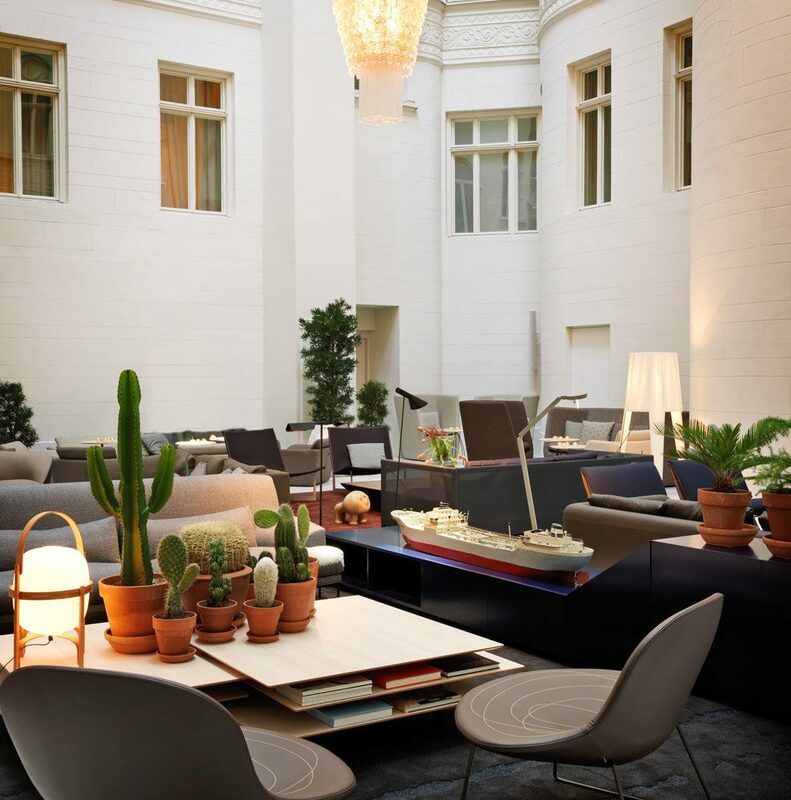 Among the first to emerge is At Six, where collaborators—London-based architects Universal Design Studio and Swedish curator Sune Nordgren—combined forces to amass an art collection worthy of its surroundings. 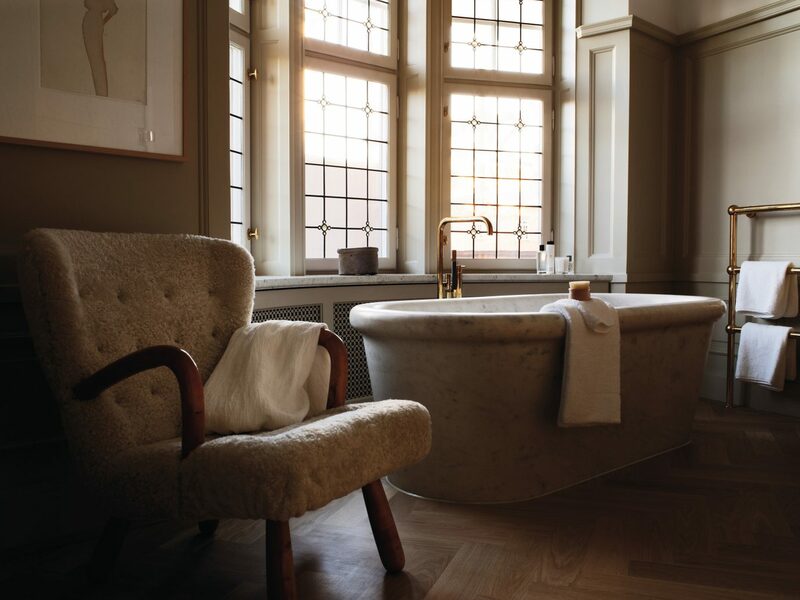 Public spaces are scattered with pieces by Spanish sculptor Jaume Plensa and land artist Richard Long; upstairs, 343 rooms are smart and sophisticated, with marble credenzas, oak bay windows, toiletries from Swedish Lapland, and all amounts of leather and bronze. 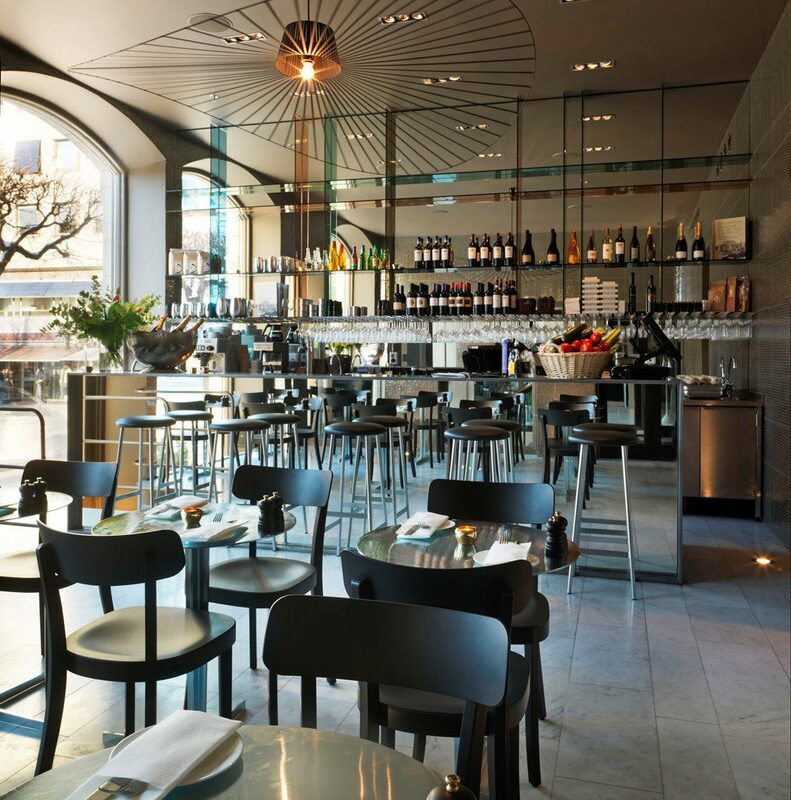 Follow up drinks at the mezzanine bar with dinner in the Dining Room overlooking the square—or, for an even better view, the rooftop terrace. 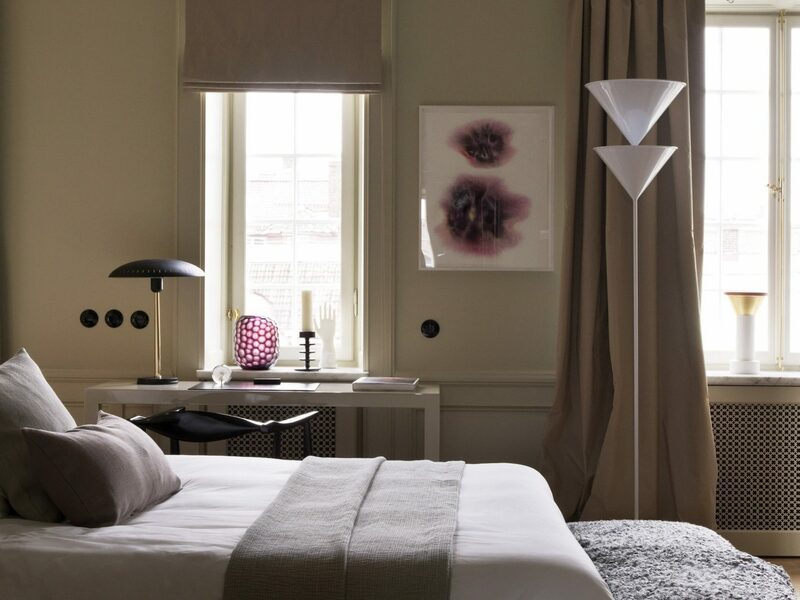 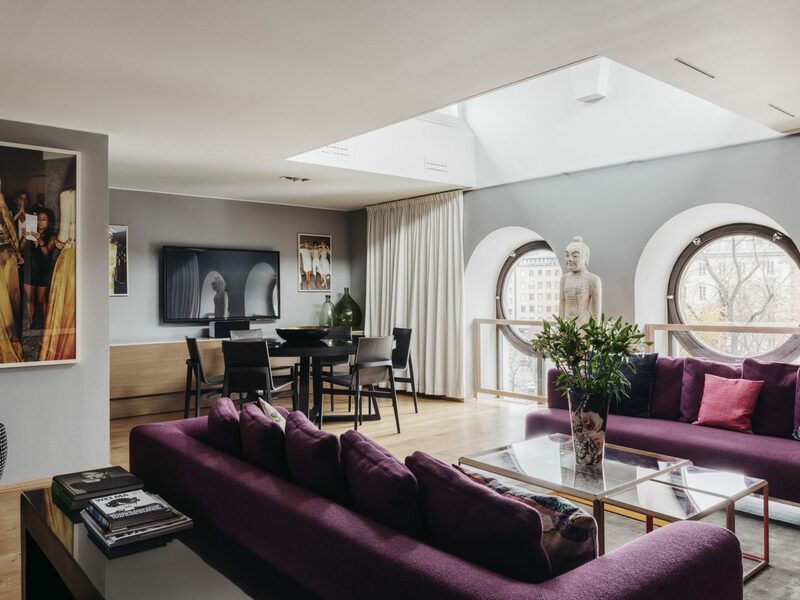 We couldn’t have picked a better neighborhood than fashionable Östermalm for Ett Hem, a century-old, 12-room mansion designed by British interior design guru Ilse Crawford. 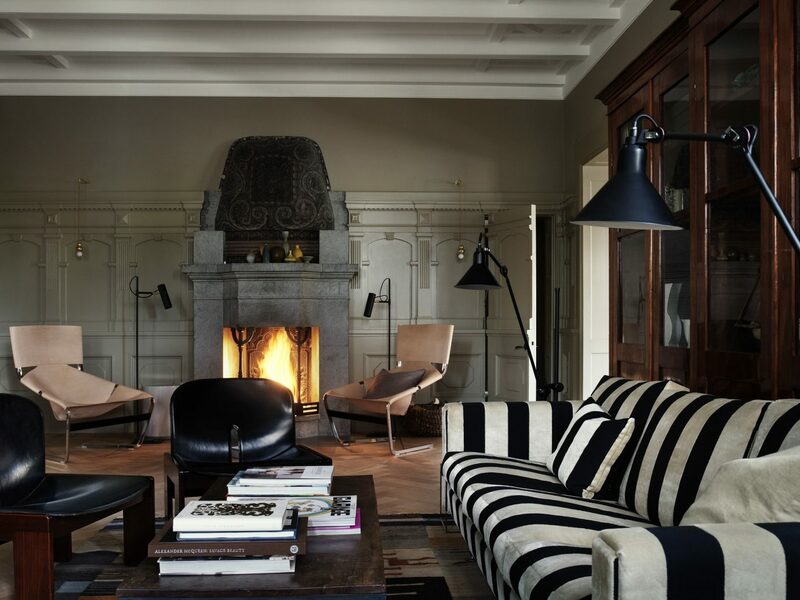 Meaning “A Home,” this stunner is more like the urban pad of your most stylish acquaintance—think Scandinavian-style functionality paired with a heavy dose of laid-back luxury in the form of jewel-toned fabric walls, oil paintings, Gotland sheepskins, and cast-iron stoves in choice rooms. 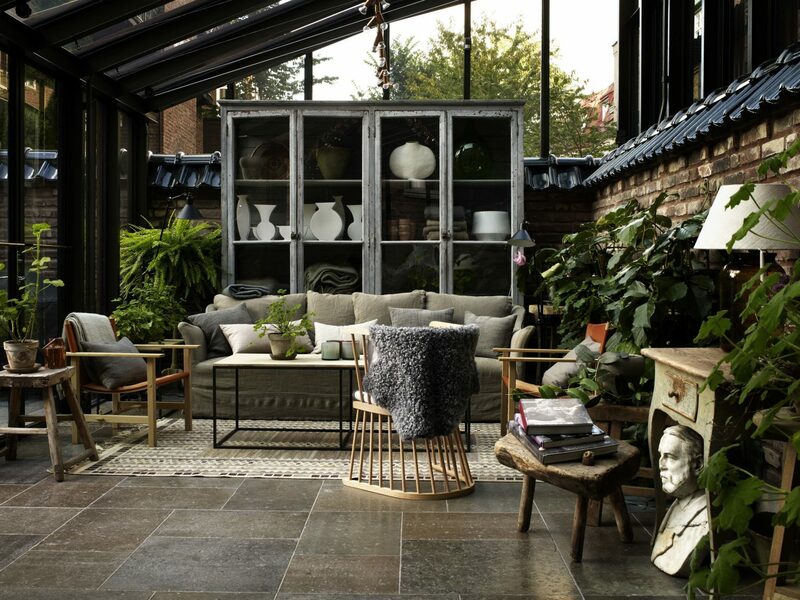 There’s also a walled garden and a library, where meals are served throughout the day as well as in the lounge and dining room. 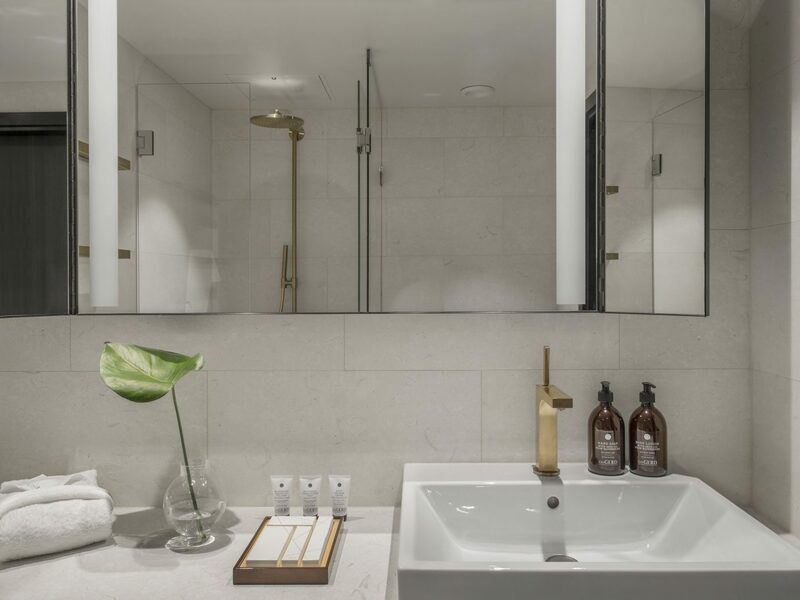 If you’re feeling peckish, pop into the kitchen for complimentary cake and wine, then sweat out the carbs in the on-site gym and traditional Swedish sauna. 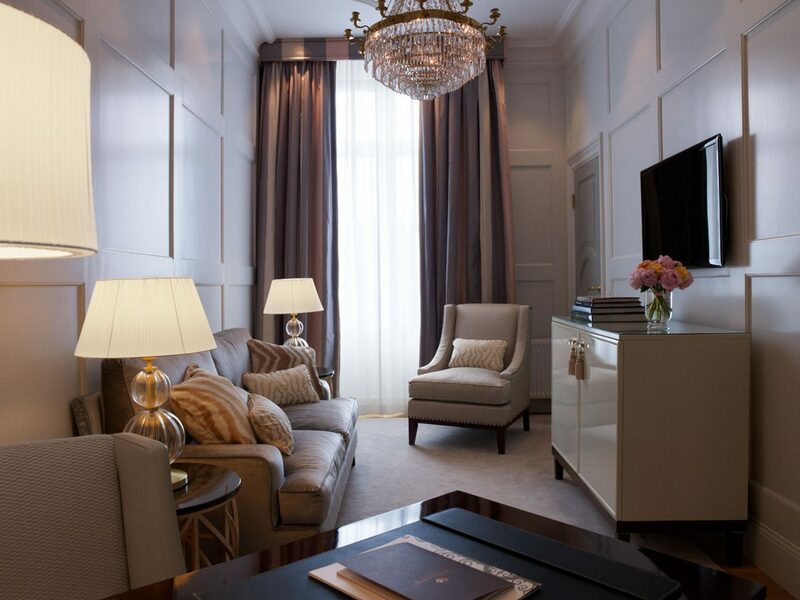 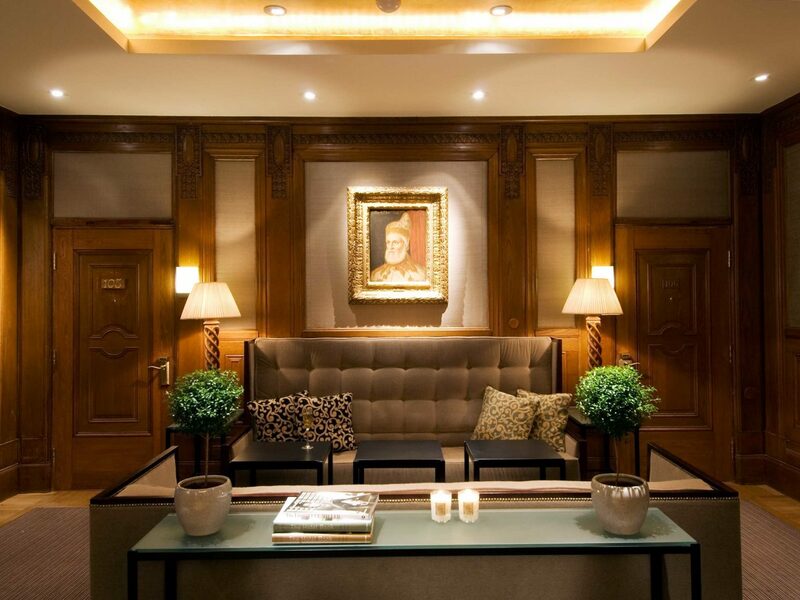 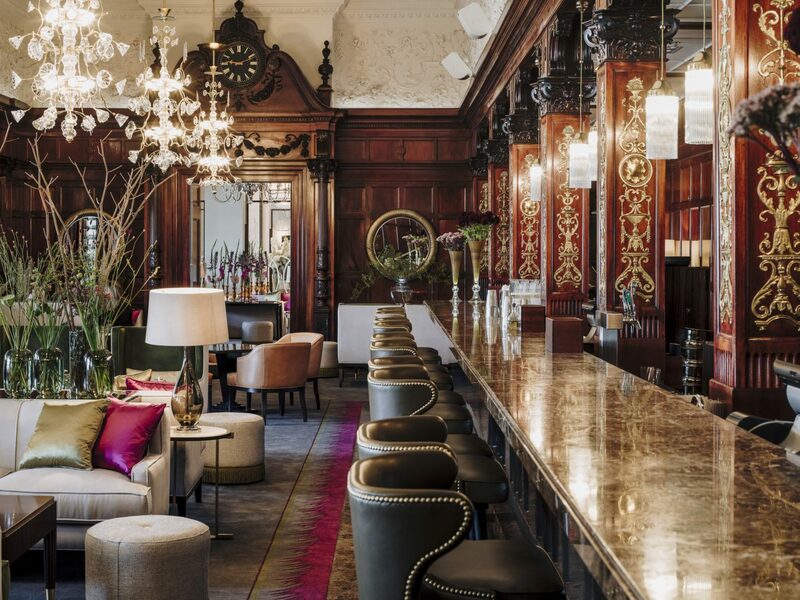 First opened in 1874, this opulent hotel stays true to its name, from the elegant rooms with sweeping water views to the service that goes above and beyond (laundering your silk robes; attending to your room’s personal floral arrangements). 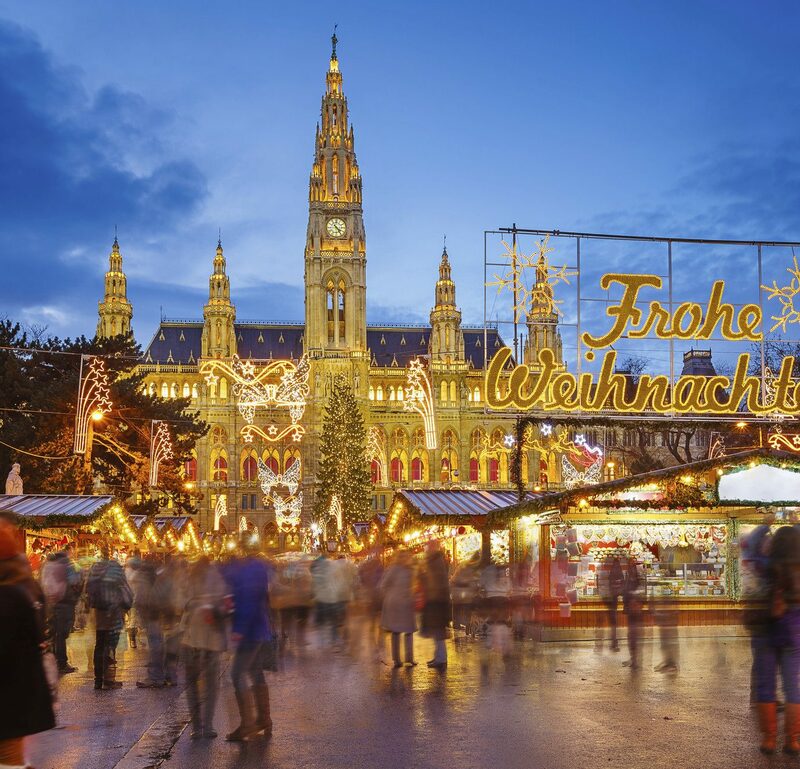 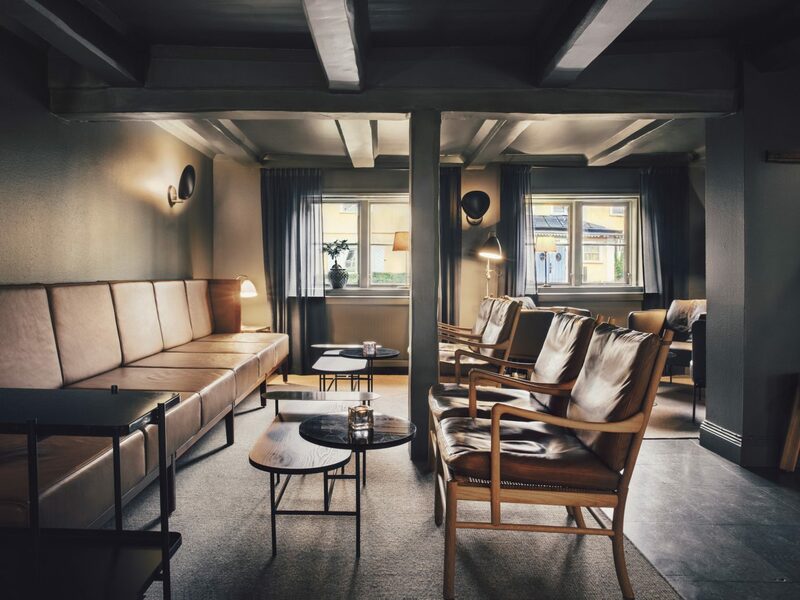 The Veranda restaurant is a favorite for traditional Scandinavian specialties like smorgasbord (julbord in winter), and the property’s Nordic spa is a winner, known for its pine-scented saunas, heat wrap treatments, and plunge pools. 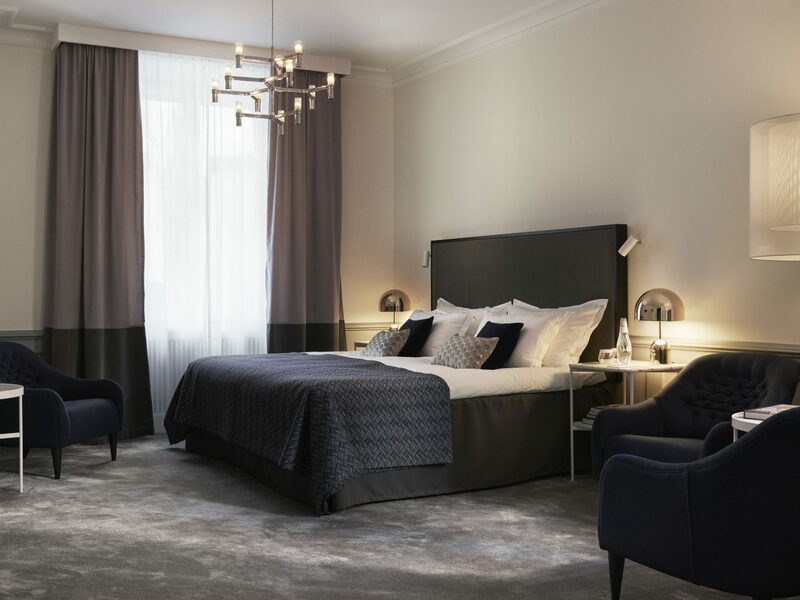 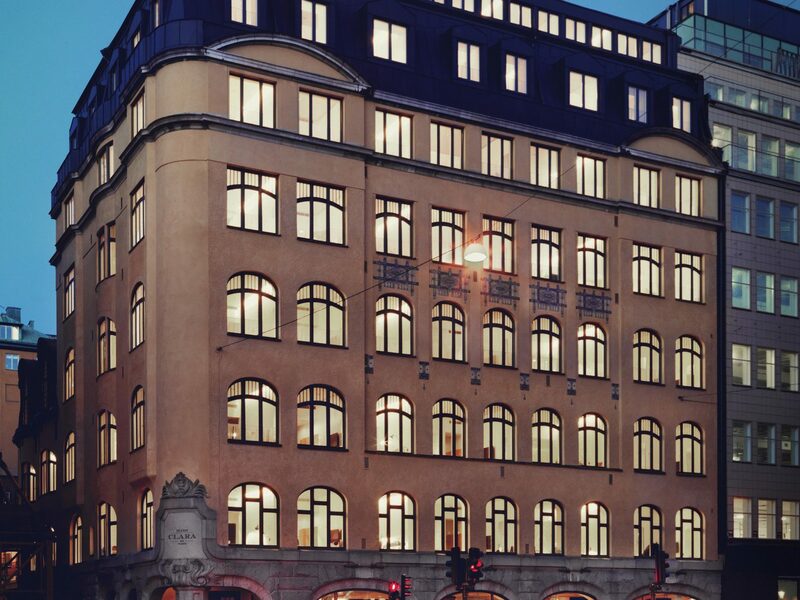 The name of this former girls’ school turned hotel on Stockholm’s busy Sveavägen boulevard was lifted from one-time headmistress Clara Strömberg. 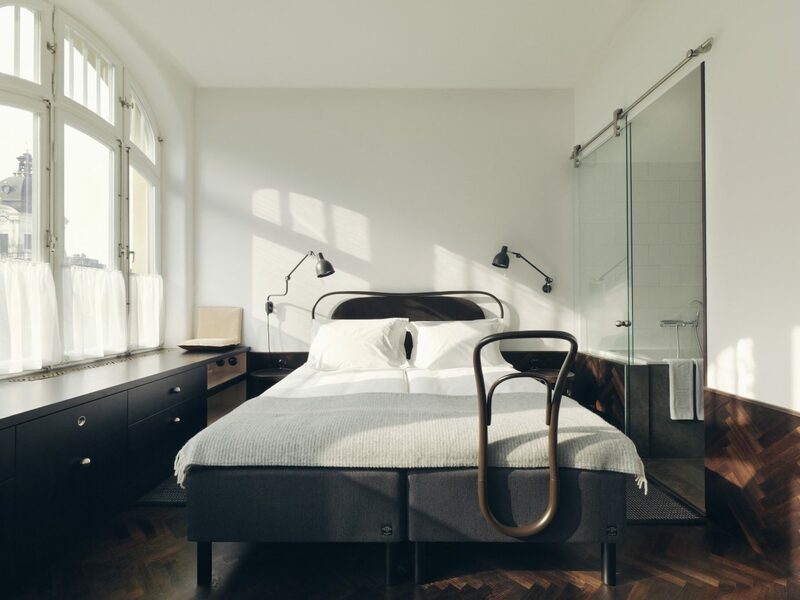 Swedish architect du jour Gert Wingårdh worked his magic on the interiors, deftly blending the building’s Art Nouveau details (including original arch windows) with more modern touches like bentwood headboards, wood-paneled walls, bed frames by Swedish furniture factory Gemla, and stained parquet floors in the 92 rooms. 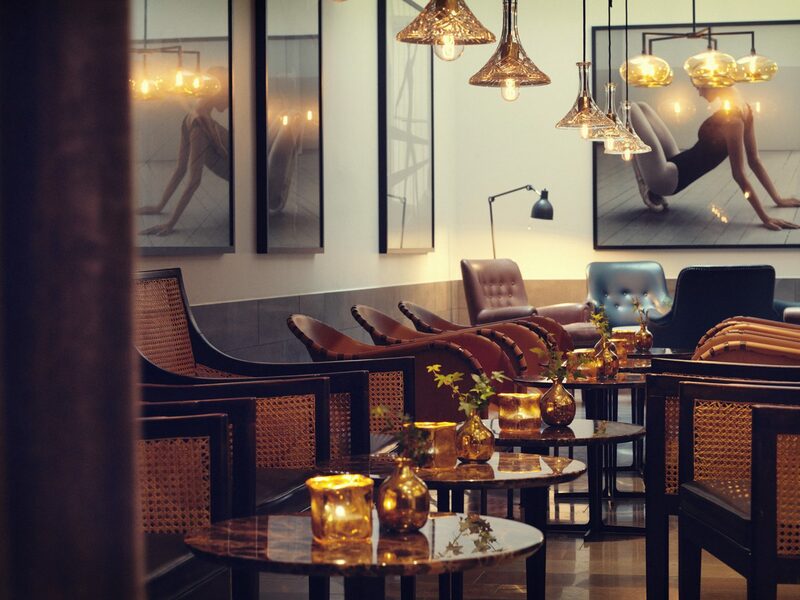 Design details aside, the ground-level restaurant is a destination all its own, where a stylish crowd gathers for modern takes on Swedish and international cuisine. 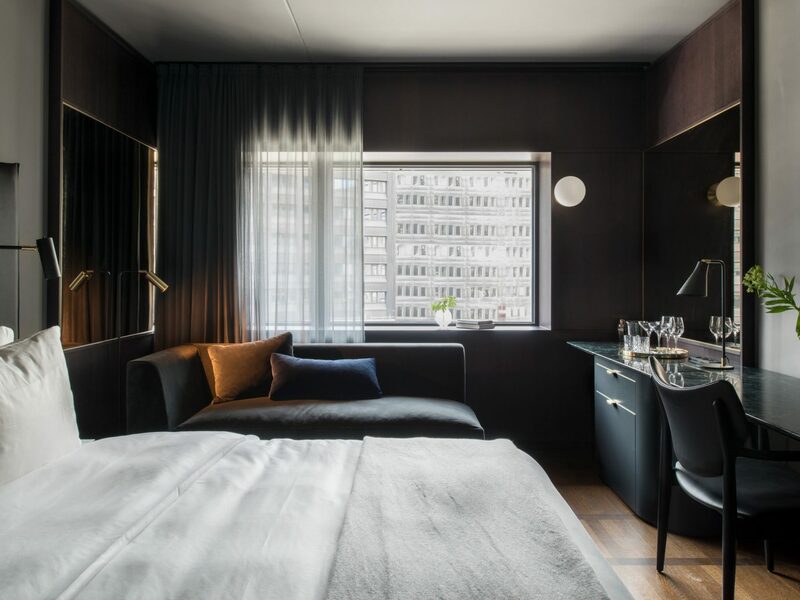 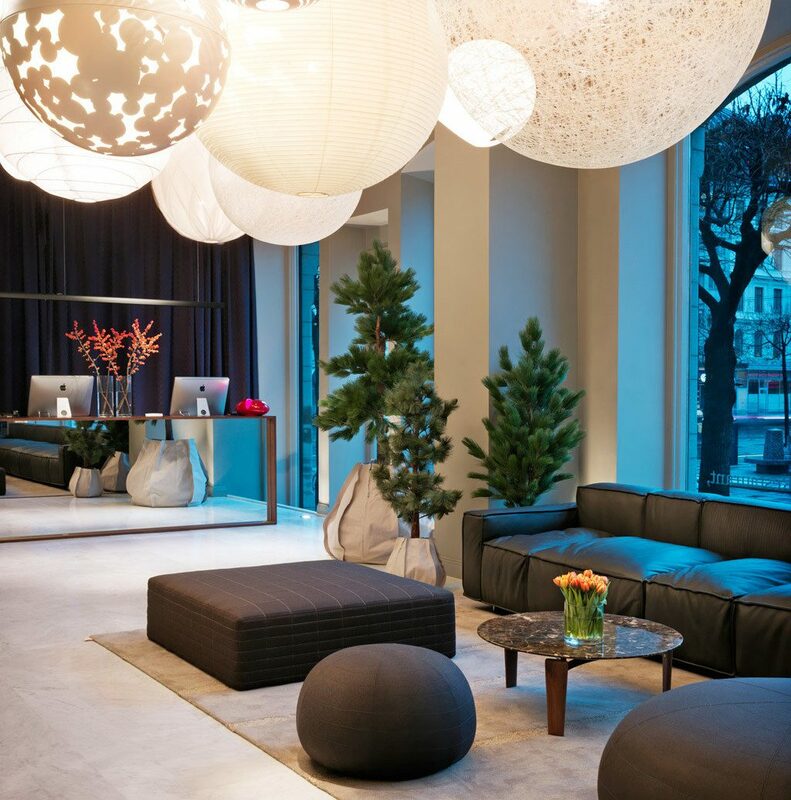 The design-led Nobis brand’s flagship hotel stuns in more ways than one. 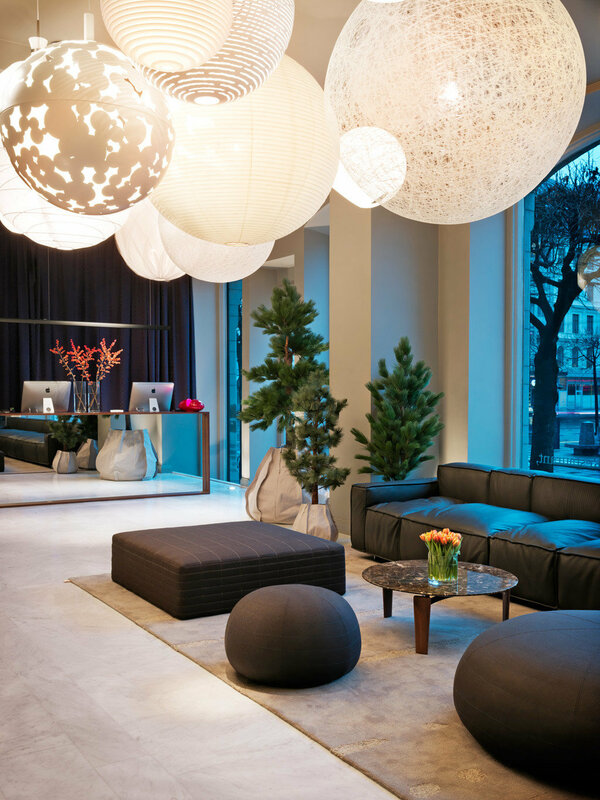 For starters, the interiors are gorgeous: celebrated architecture firm Claesson Koivisto Rune managed to preserve the elegance of its two 19th-century buildings while adding edge in the form of statement art (a squid-shaped chandelier here, a ceiling painted to look like a pixelated forest scene there) and the cool, stripped-down look of its guest rooms. 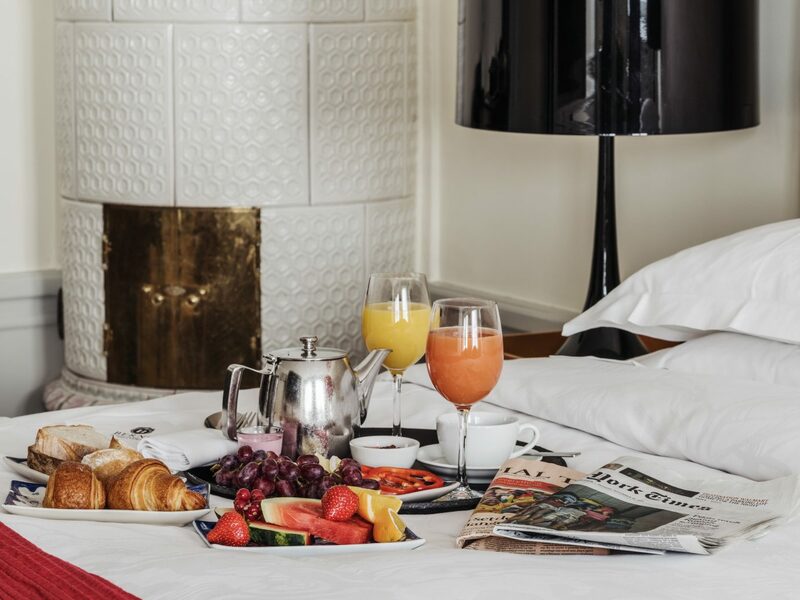 The service is also top-notch, whether you're enjoying the excellent Italian dining at subterranean restaurant Caina or the mixologist-mixed drinks at the Gold Bar. 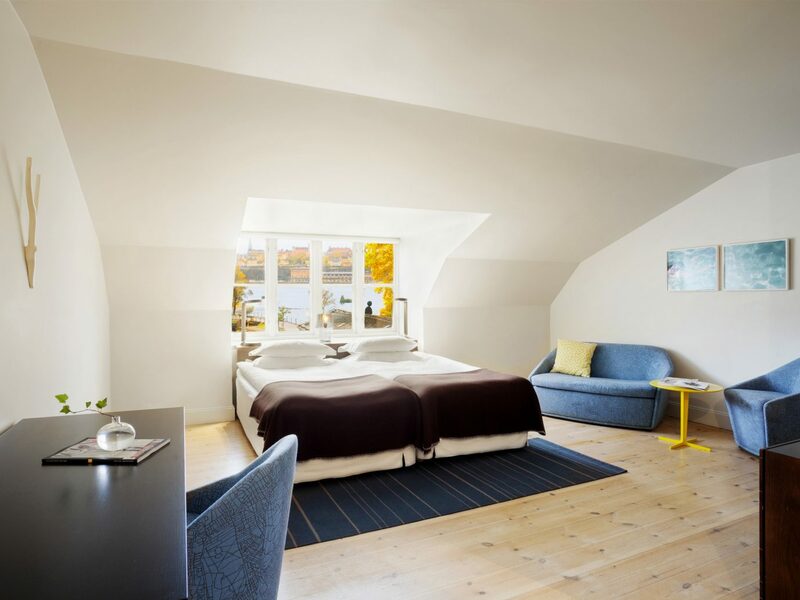 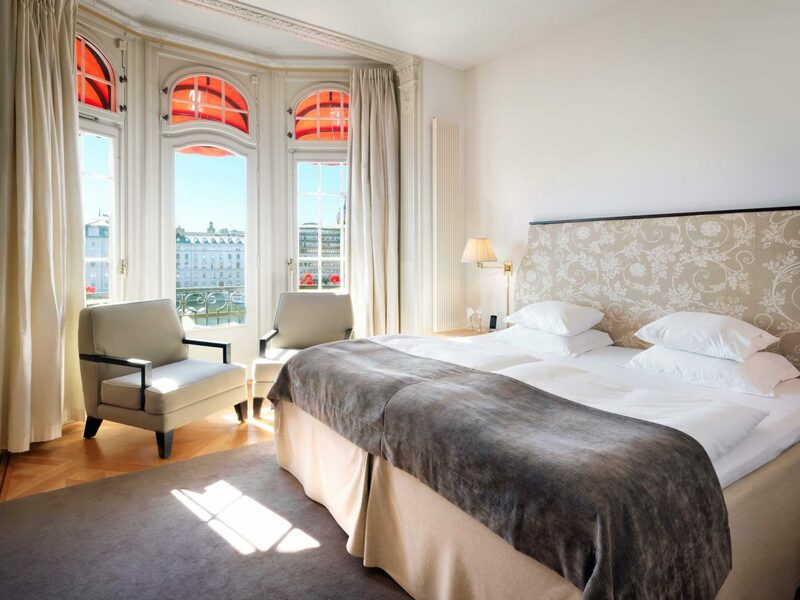 The clincher: the hotel’s unbeatable location on Norrmalmstorg square, close to Old Town and the opera house. 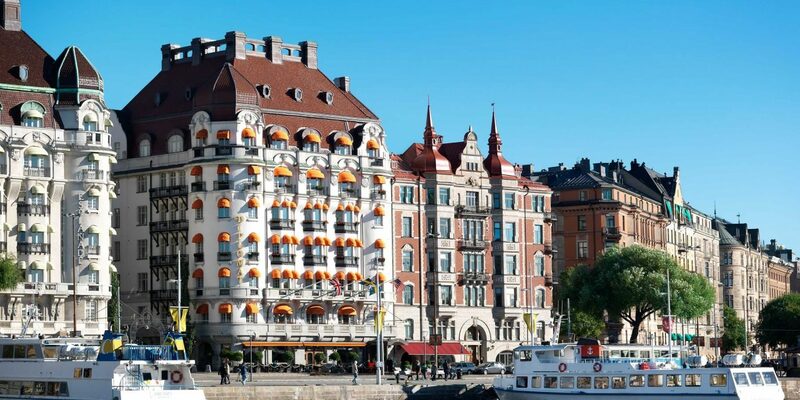 Hotel Skeppsholmen is nothing if not unique. 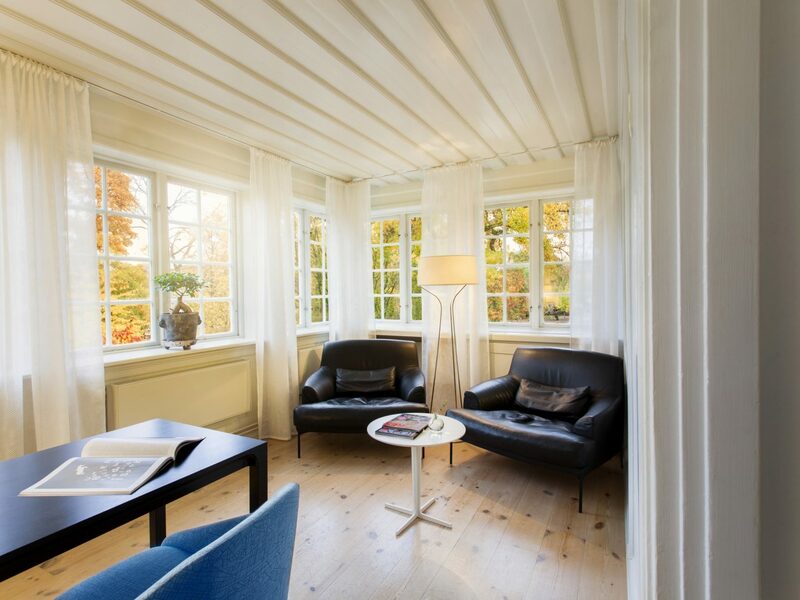 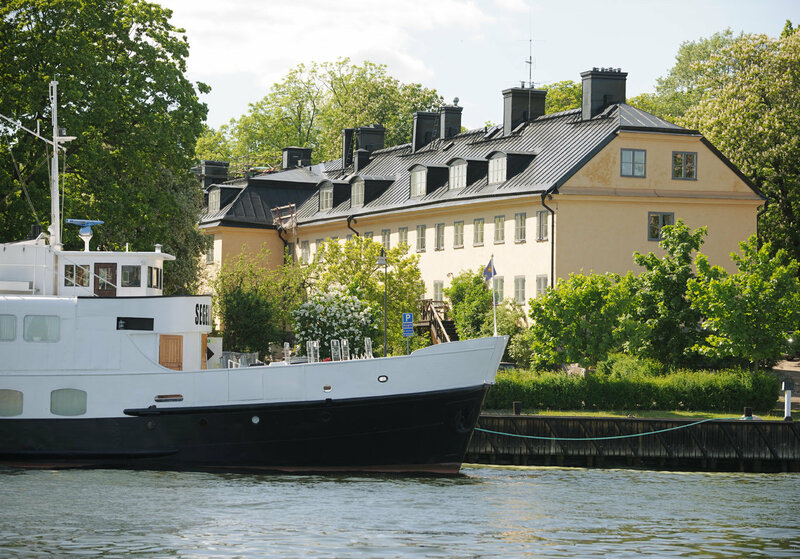 A 1699 former naval base on an island it shares with the city’s modern art museum was reimagined as an 81-room eco-retreat, linked via a low bridge to Stockholm’s Old Town. 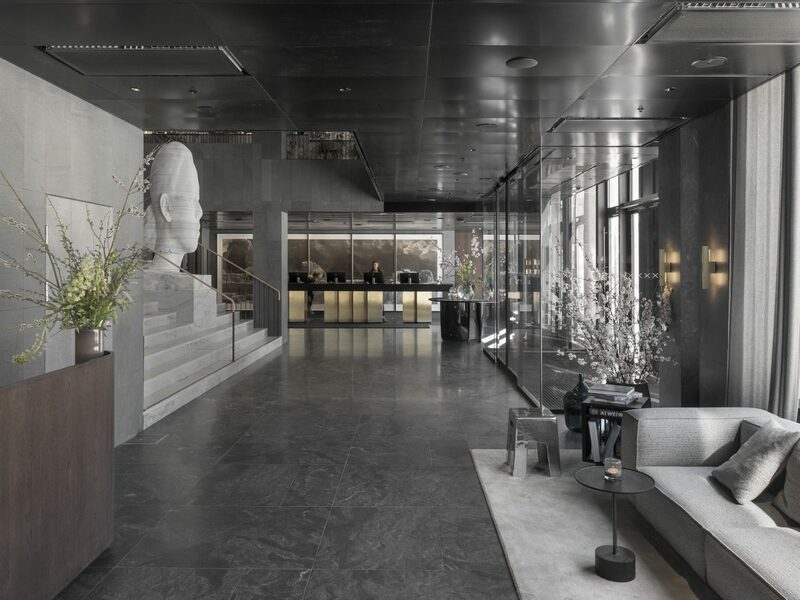 Interiors, by Claesson Koivisto Rune, marry old with new (high ceilings; blond-wood floors maritime color palettes of white, gray, and blue), while the historic nature of its 17th-century buildings means no walls are allowed to be changed without permission. 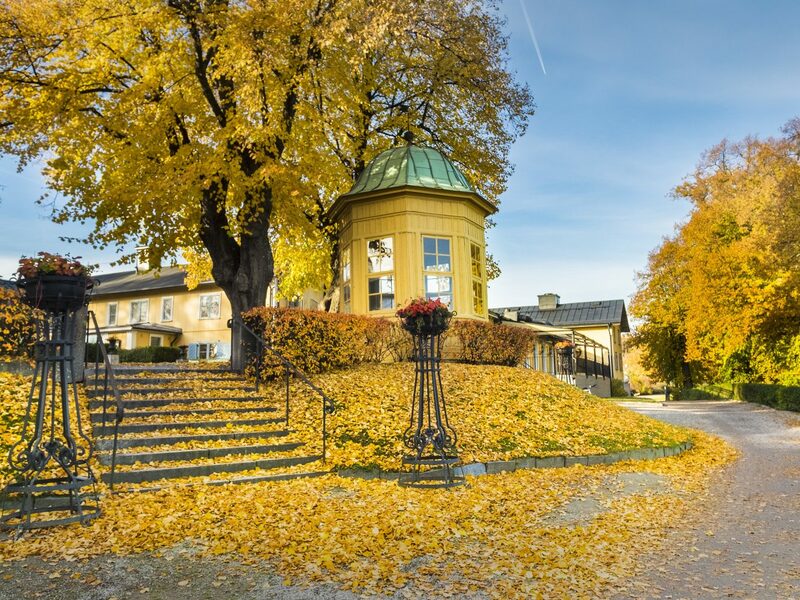 Join your fellow guests in the Länga Raden restaurant for traditional fika (afternoon tea) and beer or, if it's warm, enjoy a picnic lunch out on the lawn, which extends to the banks of the sea. 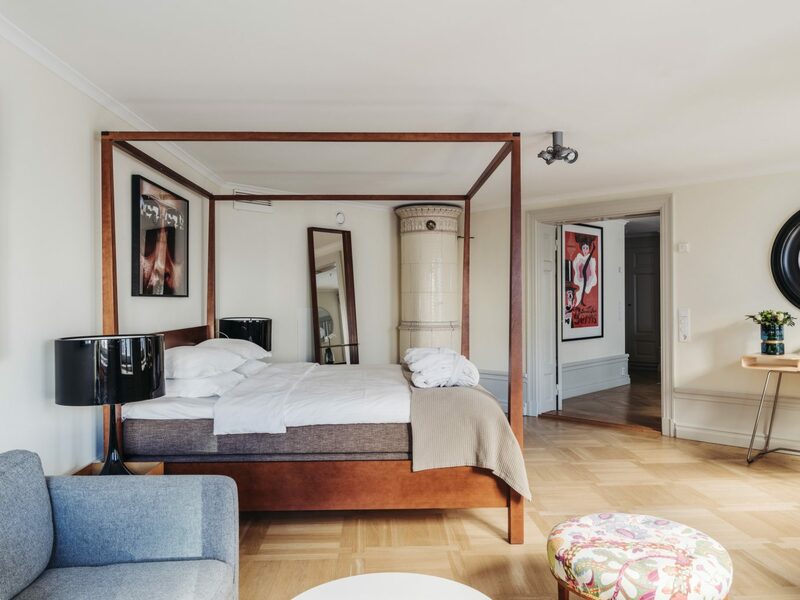 First founded in the 1600s, Stockholm’s oldest inn retains a romantically pastoral nature worthy of its age. 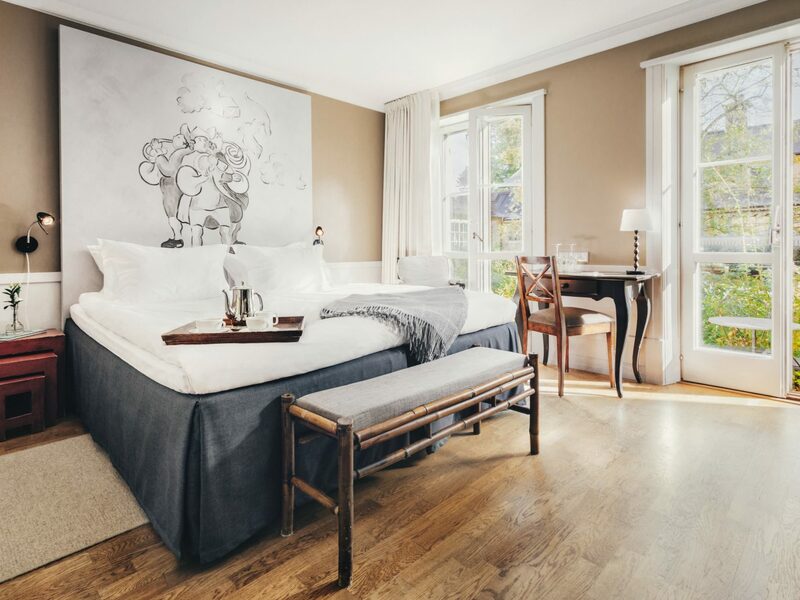 Its 17th-century farmhouse guest rooms, added to the original inn in 2000, are done up with 18th-century country-house-style flourishes like pastel-hued walls, floral curtains, and oversize windows, the best of which overlook Haga park and the bay beyond. 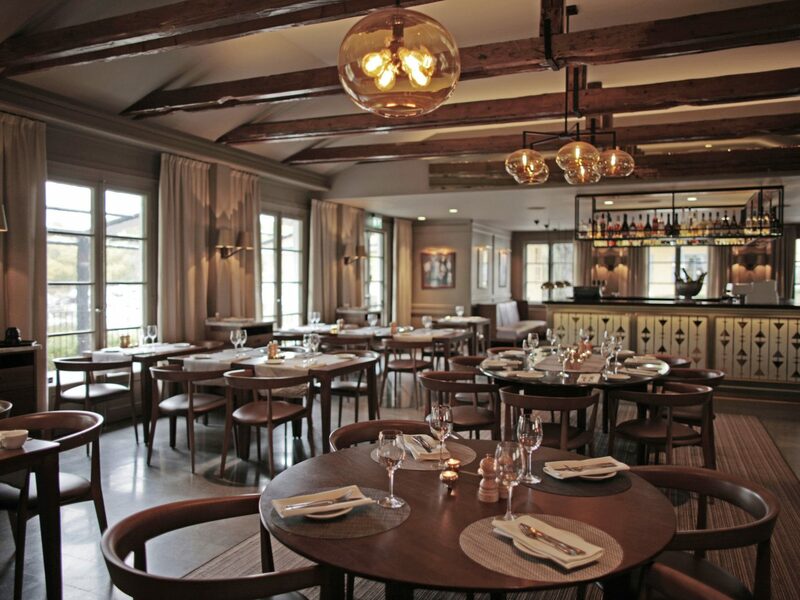 The restaurant is just as rustic and sophisticated, serving seasonal menus that highlight local ingredients like reindeer and beetroot. 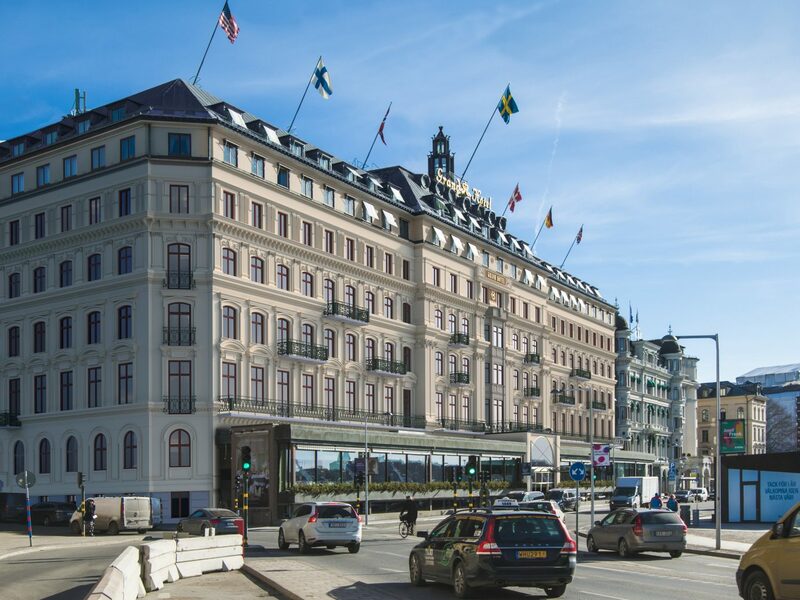 Everyone from Bill Gates to the Dalai Lama has stayed at Berns, and while the hotel's location near Old Town and the Royal Palace is surely a big selling point, we suspect it’s the variety of rooms, from cabin-style bolt holes lit by skylights to expansive suites with their own saunas, as well as designer cache (one room was done by Philippe Starck), that really hit the sweet spot. 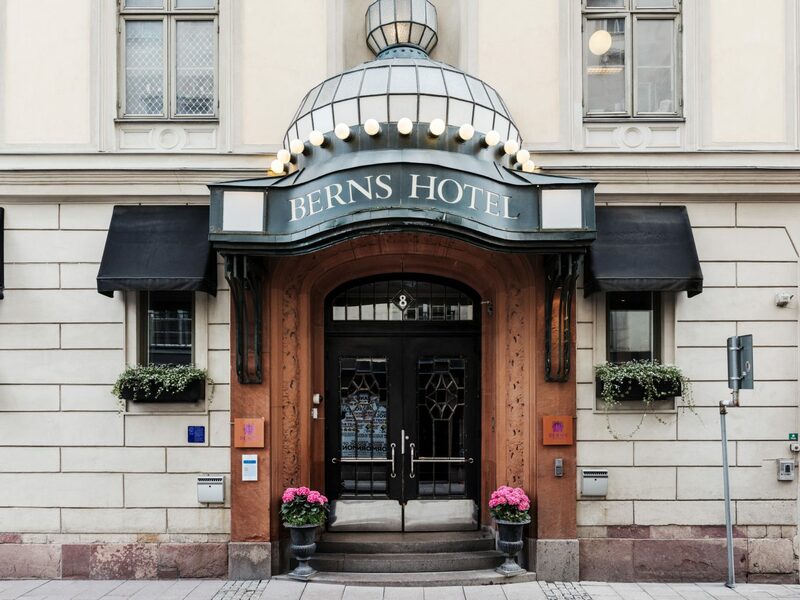 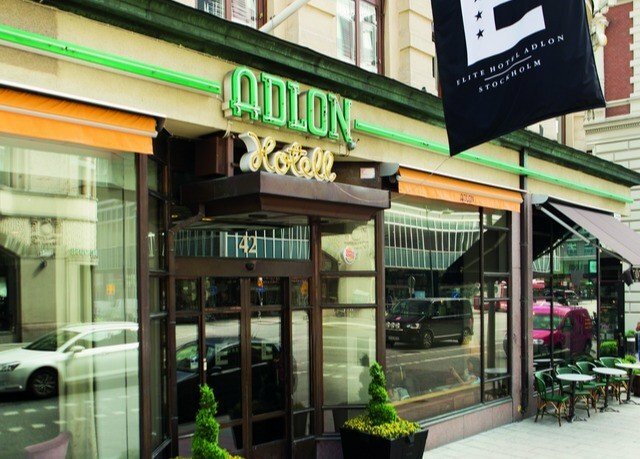 Even if you’re not a guest, you’ll probably find yourself passing through the hotel's doors for a meal at Bistro Berns or Berns Asian (both excellent) or a show—comedy, drama, DJs, you name it—at the in-house concert hall. 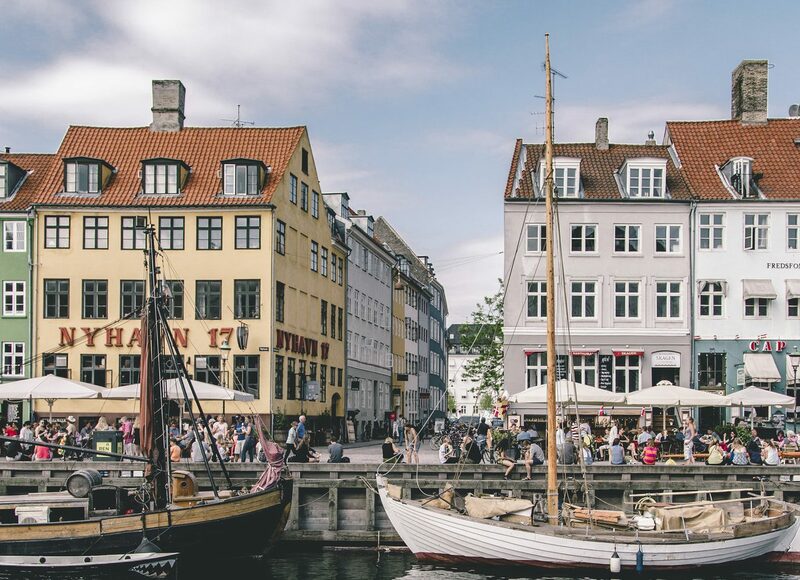 The historic 1911 Art Nouveau façade of this harborside landmark is stately, to be sure, but inside, it’s an entirely different story. 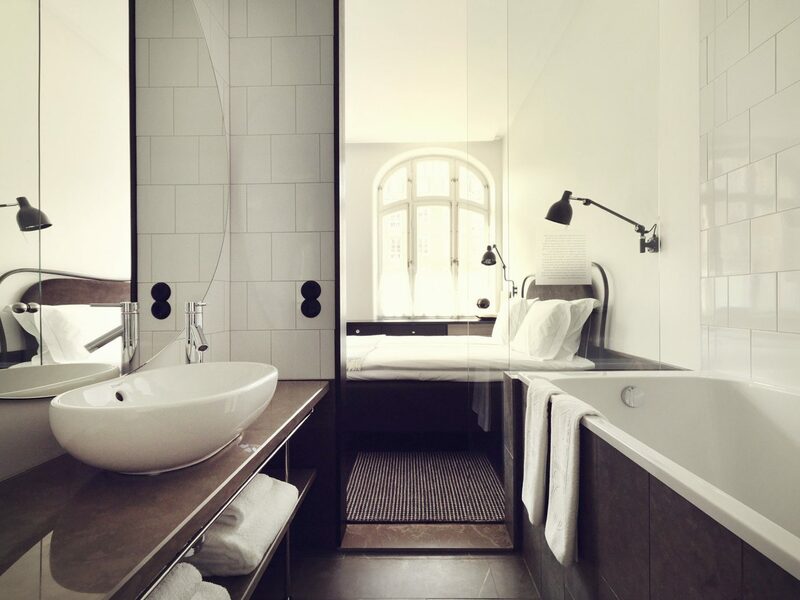 Each of the 130 rooms has been painstakingly brought into the present day with marble floors, teak furniture, and the kind of design restraint synonymous with Scandinavia. 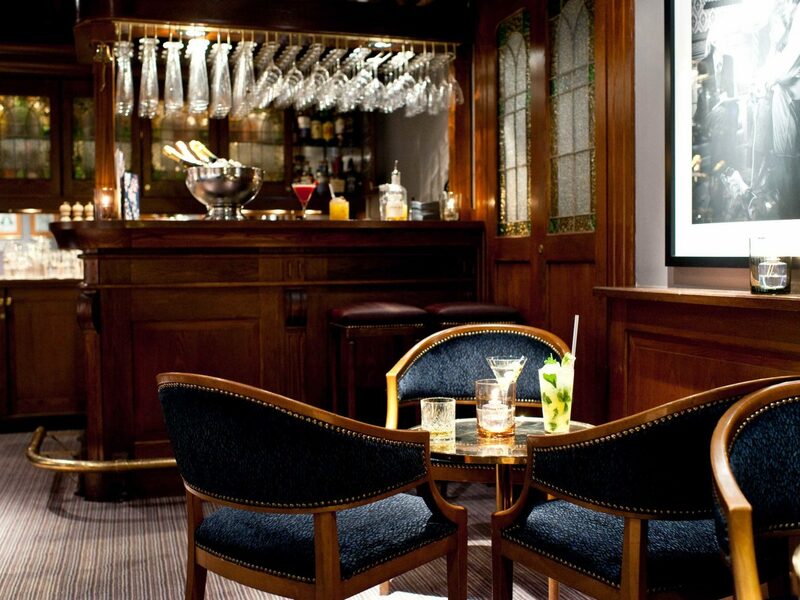 The hotel cocktail bar is the place to go for signature drinks among the city’s well-heeled style set, while the weekend brunch at café-bar T/Bar offers local, organic produce and scenic views of the steamboats docked just outside.